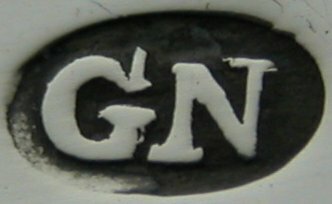 George Nangle of London entered his first mark on 30th October 1797 as a small-worker. He entered other marks up to 1819. 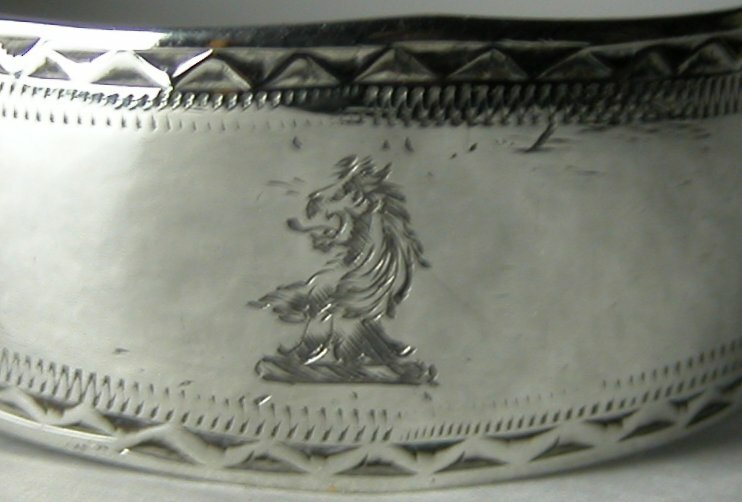 There is also a George Nangle making silver in Ireland, registered in Dublin between 1765 and 1812. The two should not be confused with each other. This is a rare mark and I have only seen this one pair of tongs by George Nangle. They are fairly standard bright cut tongs with a lovely monogram of a roaring lion.